Around 40 democratic former Heads of State and Government have confirmed their commitment to lead the E4SS Policy Dialogue that will take place on October 16-17th 2018 in Lisbon, Portugal. It is expected that the event will gather around 150 participants, among policymakers and expert practitioners, educators and youth leaders, private sector representatives and civil society. The dialogue is organised by World Leadership Alliance - Club de Madrid (WLA - CdM) in partnership with the Calouste Gulbenkian Foundation, under the High Patronage of His Excellency the President of the Republic of Portugal and the Patronage of the European Commissioner for Education. It aims to mobilize political will around global education for more inclusive societies. This E4SS Agenda will focus on driving engagement on education for all as a catalyst to address challenges affecting the advancement of communities and wellbeing of citizens. 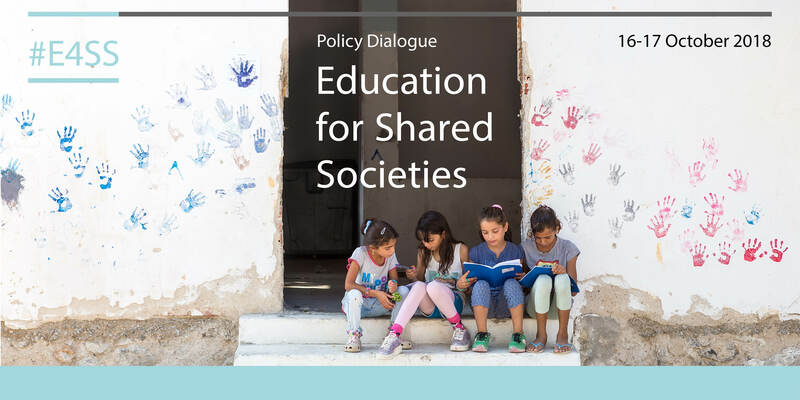 A shared society is one in which everyone has a sense of belonging and shared responsibility, shielded from the dynamics of social exclusion, inter-group tensions and violence. WLA - CdM began its Shared Societies Project (SSP) a decade ago, as part of its work building peace and democracy. This integrates political, social, economic and environmental dimensions, with social inclusion at its core. The organization is now turning its spotlight on education, as one of the strongest enablers to foster social cohesion and lessen dangers of exclusion and elitism. At the global level, transformative efforts towards inclusive societies have become more political, reflected in the Agenda 2030 for Sustainable Development, to which countries have made a commitment and on which they are accountable. Therefore, the involvement of leaders and duty bearers will be crucial for social change and creation of enabling environments, which supports innovation and creativity for a better society. More than a mere call for action, this project locates responsibility with key actors and institutional frameworks to lead social change. There are three pillars of the E4SS, which reflect current key global concerns: Refugees, Migrants and Internally Displaced People (IDPs); Preventing Violent Extremism (PVE); and Digital Resilience. During the event, three working groups will draft key components of an agenda with policy changes for each area, to be discussed by educators, policy-makers, WLA - CdM Members, and experts. Looking forward, the conclusions of this international dialogue and cooperation will be presented to the E4SS Joint Steering Committee to produce and launch an E4SS Agenda by 2019, ensuring the continuity of the project globally.